It is still one of the best CPU you could get for its price! I used it for about two years. With appropriate cooler you can overclock it substantially. I primarily used it for rendering in Maya, Solidworks and Keyshot. This Processor is great for overclocking but if you overclock it from 4,2 to 4,8 or 5.0 GHz you need a good cooling solution because it heats very much. Price for performance. That is all. Excellent budget processor. If you can afford an i7 or high-end Haswell i5 go with that, otherwise this is an excellent deal. Awesome multi-threaded performance, decent single core performance, works well with an R9 280X for a good mid-high level CPU/GPU pair, hasn't bottlenecked for me yet. Runs a little hot with an idle of 35°C and load of 55 to 60 on the stock cooler but can be fixed with an aftermarket cooling solution, a fairly high TDP of 125W. Overall one of the best deals around for less than 200 USD. 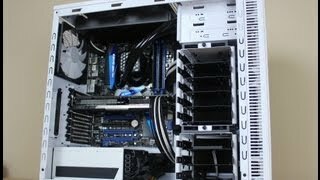 Great budget/Value CPU, and I like this processor, its great for what I do, I game and I use this PC for work (documents and research). This processor was easy to over clock to 4.5 ghz, I was able to get it to 5.0 ghz, but after like 1 hour, the temp rose to 80 C, so I lowered it to 4.5 and I am at a 30 C idle and 45 C load. I love this CPU! I did manage to get it to 5Ghz but not entirely stable. Though for this system leaving it at stock (4.0Ghz) is plenty fine for my needs. The performance increase from my AMD Phenom II X4 975 BE 4.2GHz OC (stock is 3.2 Ghz) is amazing. Going from a quad core to an octa core processor grants a huge improvement. 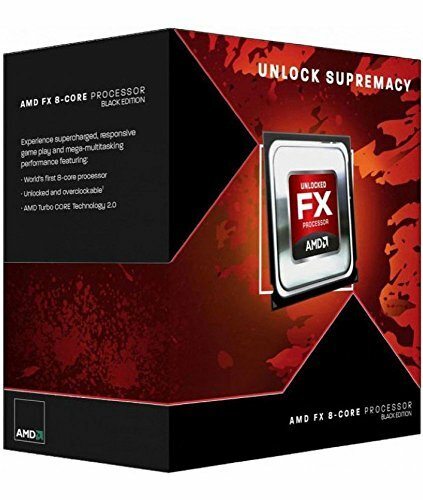 I recommend this CPU for anyone. It is a fierce competitor to Intel in the same price point.